The British Polish Chamber of Commerce has the pleasure to invite you to Robert Burns Night. The BPCC will be celebrating the life and works of Scotland’s national poet on Wednesday 23 January 2019. Why Burns Night is so important? Scottish winter nights are longer and colder than those experienced in southern England. Scotland - like Poland - has harsher, darker winters. Christmas has come and gone, but late January remains gloomy; spring is still a long way away. So the Scots created a special event to look forward to - a night warmed by food, drink, friendship and poetry, a celebration of the life and works of Scotland's national bard, Robert Burns. The celebration provides unique opportunity for entertaining your key clients, rewarding your employees or simply having a great night out with friends. 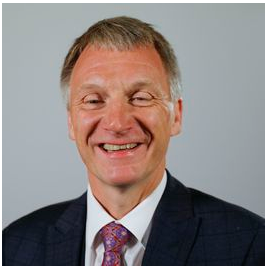 It is also about building economic and personal relations between Poland and Scotland, as we will be hosting Scotland’s Minister for Trade, Ivan McKee. The BPCC and the Edinburgh Chamber of Commerce signed a memorandum of understanding last year, leading to a greater exchange of business development opportunities, insights and best practice. This follows on from the creation of a partnership agreement between the cities of Edinburgh and Kraków. Above all, the cultural and historical links between the two countries are important - Scots have been present in Poland since the 16th century, Poles in Scotland since WW2. The tradition of the Burns Night supper has been upheld by the BPCC for many years now emphasising the friendship between the two nations. Please join us to celebrate the life and times of the Scottish poet, Robert Burns. The evening will start with the Guest of Honour (as ever, the Haggis) being piped in, after which the gathering will drink the Toast to the Haggis with a measure of Uisghe Beathe (the water of Life). Four-course dinner and guests’ speeches will follow.